To improve the surface properties of lightweight alloys the anodic coatings composition needs to be modified to provide it with improved tribological performance, better corrosion resistance or innovative aesthetics. CIDETEC has worked on the additivation of anodic coatings produced on Ti, Al or Mg alloys either by anodizing or by applying PEO processes, by the incorporation of different kinds of micro/nano particles or compounds. Low friction surfaces based on the incorporation of lubricating micro/nano particles on ceramic coatings produced by PEO process on Al alloys. Additivation of PEO coatings with micro/nano particles on Mg alloys. 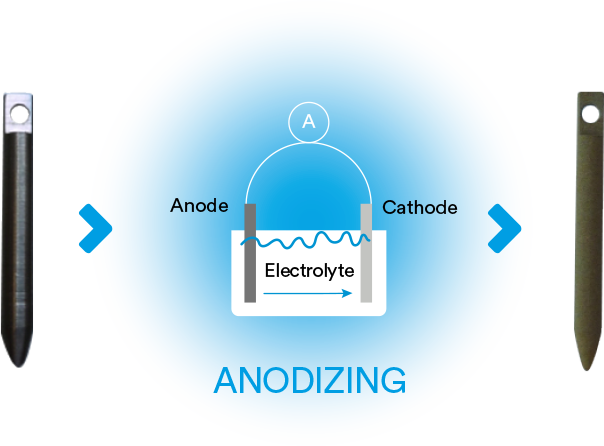 Dark anodising formulation by the additivation of an anodizing electrolyte with vanandium compounds. by the incorporation of HA. 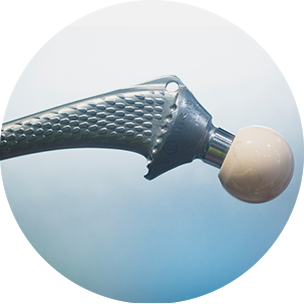 Development of a new bioactive titanium implant with composite coating of TiO2/HA that advances over the state of the art and can achieve biocompatibility criteria today is demanding the biomedical sector. Development of a new bioactive titanium implant by a new anodizing electrolytic process that increases the thickness of natural oxide layer. > Experimental animals: Rabbits of New Zealand. > Interventions developed in BioDonostia Research Institute. > Implants implanted in the proximal femoral canal. > Postoperative radiological controls and before sacrifice. > Implantation periods: 4 to 16 weeks. > Apparent improvement in bone tissue growth around the anodized implant. > An increase in the amount of bone in contact. > Increased density in the proximal part.